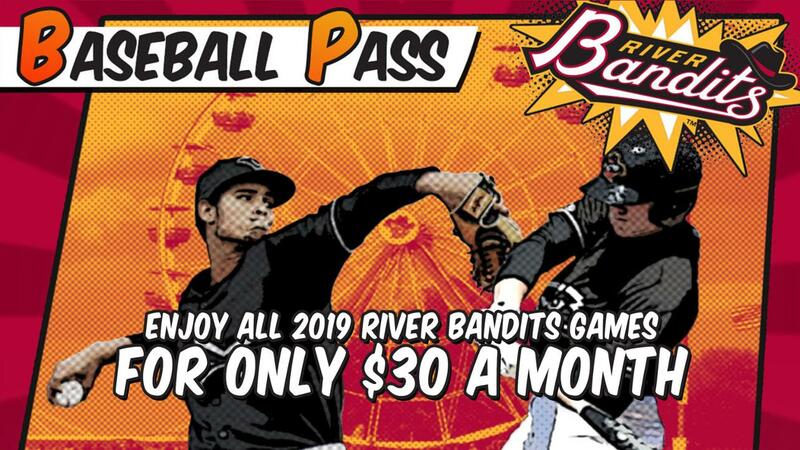 Baseball Pass- Your ticket to EVERY Bandits game! Baseball Pass Subscriptions still available for the 2019 season. Call 563-324-3000 to get the rest of the Bandits games this season for only $30 a month! Baseball Pass- Your ticket to EVERY Bandits game! The Quad Cities River Bandits entered Saturday night's series-opener with the exact same overall record as the Cedar Rapids Kernels at 57-46. The Bandits left the game with one more win as they edged the Kernels by a 3-2 score at Veterans Memorial Stadium. The season-series is even at six wins each.